← Presenting Little Miss A! 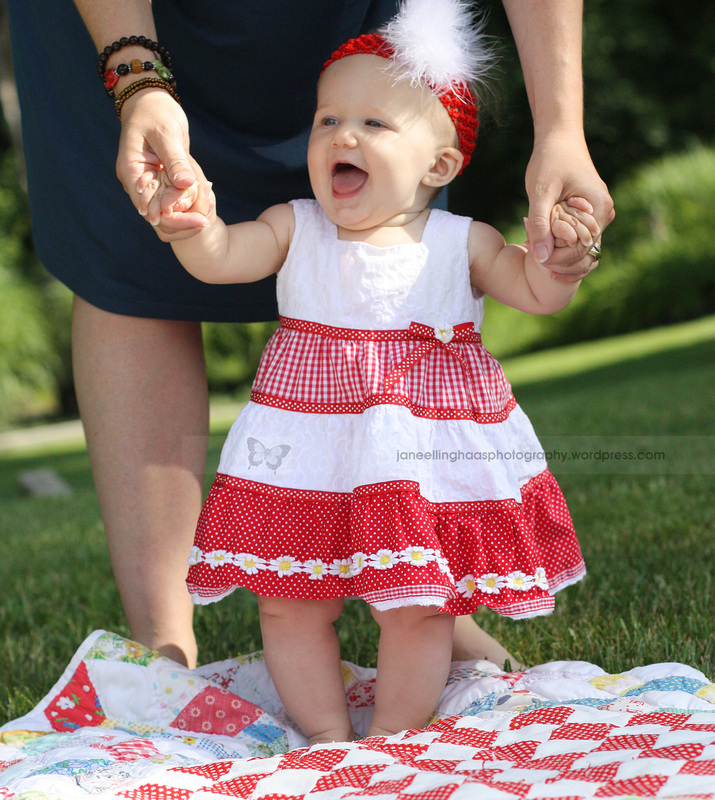 Willow Sophia is six months old already and her sweet personality shines through every minute spent with her! Her mommy and both grandmas thought it was about time for some new photos to go into their special frames. Willow wins the Miss Congeniality Award! And an Awesome Wardrobe Award too! Thanks for the fun morning! God blessed us with beautiful weather and a great time together! 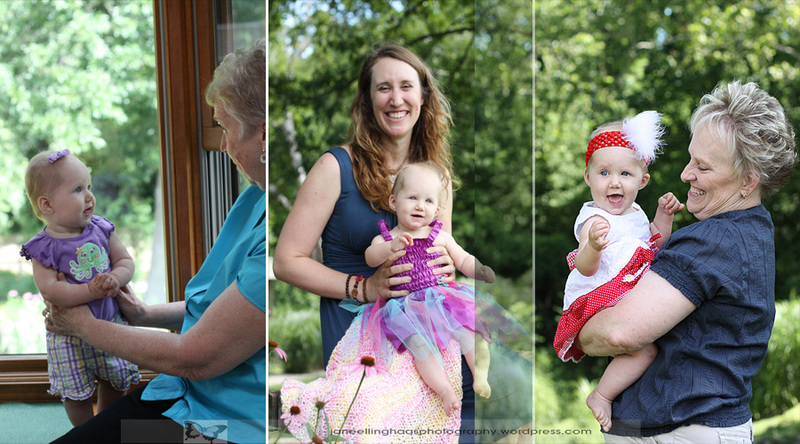 This entry was posted in babies, Children, Generations, Lifestyle, Relationships and tagged babies, child's play, Children, Families, generations, natural light, Relationships, Snapshots of daily life, St Louis area photographer of families and children, summer, Willow. Bookmark the permalink. Great pictures, Jane! 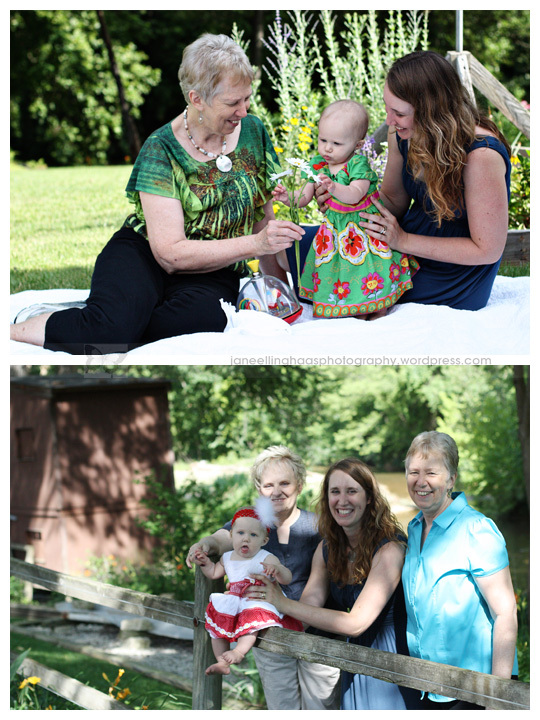 Willow will cherish those pictures of the “three generations” as she gets older. The grandmothers love for her shines through! What a gorgeous baby. She looks so much older and wiser than just six months. Very bright eyes with a smile to match! !